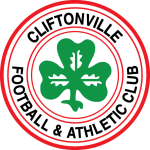 Cliftonville has played only 2 games in this preparation phase for new season and they have drawn in one and lost one against teams from Ireland (Shelbourne and Derry City). They finished in 2nd place with 89 points in last season in Northern Ireland Premiership and they were only 2 points behind chamapions of last season. They have minor chances in this encounter and if they want a positive result they must score goals here. 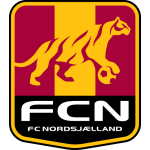 Nordsjaelland are part of a stronger league like is Denmark Superligaen and they have had an amazing preparation phase where they have won all 5 matches against strong opponents like is Ajax, Paok, Norrkoping and I think they will not have problem to score goals here. I think we will see at least 2 goals that in first half. My pick for this match Over 1.5 goals at odds 2.09 with Pinnacle.